Why Branding is important and how to go about it? Home / Branding / Why Branding is important and how to go about it? Branding is one of the most important aspects of expanding your business and letting customers know what your company is capable of. A good branding leads to better business. It’s not just logos and taglines, it’s what makes customers believe in your product. 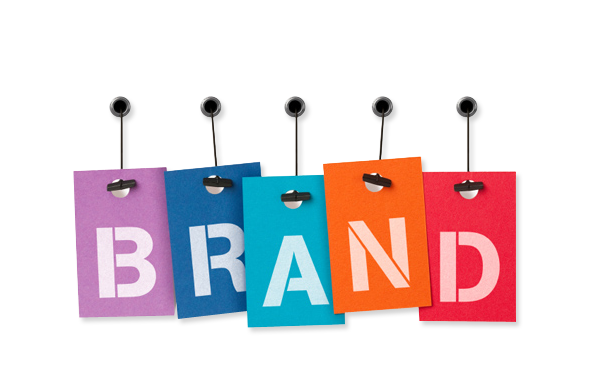 Branding improves recognition, supports advertising, creates trust,builds financial value, inspires employees and generates new customers, all of which are critical aspects of running a business. On a simpler note, it’s your promise to your customer, so that they know what to expect from you. A brand that puts themselves as consistent and clear are much more successful as their clarity keeps the customers at ease. So every time they use your product, they know exactly what they are about to experience. Be Consistent With your Branding.What is your business actually about? Always ask yourself this question and the answer you get will help you to figure out the best possible decisions to make for your establishment to succeed! It is very important to exhibit a consistent branding policy across all online digital channels. This creates brand recognition and helps to strengthen the brand.it is necessary for a business to use as many channels as possible to reach out to their customers be it by using a website or blogging or using social network. Enhance Your Website.We know that crafting and maintaining a website is one of the most vital part of branding for any business. Website optimization for ideal performance on search engines is one of the primarythings companies can do to attract traffic to a website and improve the brand’s perceptibility. Publicise on Social Media.Since the introduction of interactive life event sharing platforms like Facebook, google+ etc., Social Media Marketing has become one of the most operative and cost-effective ways to sponsor both small businesses and corporations and enhance the discernibility of your brand. Social Media Marketing promotes perceptibility,brand allegiance, brand recognition and can also grow your sales. In addition, social media marketing allows small businesses and established ones to vie with an advantage. It enables businesses to reach global audiences. Produce and Distribute Superior Content.Generating and distributing rich contents is the best possible way to gain reputation online. It is one of the most necessary marketing tactic to promote your business and create brand awareness. Creating quality content has become indispensablepart to any successful marketing strategy today. Press Release Marketing.Press releases is aneasy and inexpensive way to enhance brand visibility and credit. If picked up by Google News, your company will receive additional exposure for your brand. Leverage Video Marketing.Businesses of every scale can benefit from video advertising i.e., YouTube, Metacafe,Vimeo etc. Posting proprietary videos relevant to your role in the market is a very effective way to promote your business, get your brand noticed in front of a targeted audience and drive traffic to your website. Start a Blog.Having a blog can improve brand visibility and multiply your chances of success. In fact, blogging is one of the best ways to improve the prominence of your brand online. Blogging greatly improves your search engine rank,increases reach andestablishes validity in your brand. In addition, blogging helps to build relationships with customers and connect to them emotionally.